10 Good Reasons For Using a Car Hire Comparison Website ? In the old days, when you wanted to rent a car you picked up the Yellow Pages and you found the car rental company with the biggest advert - located their local office - gave them a ring - waited for them to answer - told them what you we're looking for - "Sorry sir we only do Fords" - asked how much - reserved the car and on the day of the rental booking - went to the depot - paid the money - filled in the paperwork - got escorted to the vehicle - expressed your disappointment as it wasn't exactly what you thought you had booked - but what the heck it's only a rental car! You leave disappointed, the family are disappointed, your wife won't speak with you and the trip or holiday is ruined before it even starts! Fast forward to today. It is estimated that the car rental market is worth a staggering £1.5 billion each year in the UK alone. So how do you ensure that you get the best car rental deals out there? The best way to get the best car rental deals is to use a car hire comparison website. 1. Select the Location you wish to hire the vehicle from. Although it is more convenient to hire the car from your destination airport, and if it's money you are looking to save, then hiring the car from near to the airport or in the city will save you money. Take care to choose the correct location to pick up your car rental as you will find the same location name in several countries, for example Birmingham in the USA and Birmingham in the UK. 2. Choose the Dates you wish to pick up the rental car and also the return date. Again if it's money that is your driver then think about traveling when the rates may be cheaper and not peak holiday periods. 3. 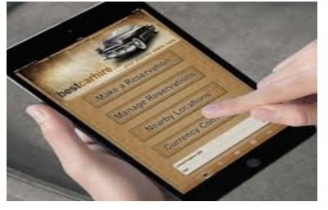 Car Rental Return Location - Do you want to return the car to the same location? If not then key in the drop off location. 4. Confirm Your Age - Key in your age (purely to ensure that you are over the age limit in the country you are hiring the vehicle). 5. Compare the Car Rental Market - Press the search key, sit back and watch the system compare the car hire market for the best possible deals depending on your list of search options. You will be surprised as to how quick this is, and being able to compare the market of all the major car rental suppliers in the one place, saves you time and money. 6. Get the Best Car - Now comes the fun bit. Take your time to go through each of the cars being compared. These will be categorised as small cars, economy cars, executive cars, people carriers, minivans, SUVs, MPVs and vans. 7. Comfort and Joy - Does it have enough passenger space? If it's only for you as part of a business trip, this is probably not too much of a concern. If it's for a family holiday however, make sure that there is sufficient room for all your luggage and that the kids can sit comfortably. Remember if it is a hot country, kids get very irritated if crushed up against each other. In this case why not consider a people carrier, MPV or SUV? 8. Add Ons - Do they offer extras? If you want to add a child safety seat then this is the time to ask. If you need Collision Damage Waiver insurance then you can also add this. If a SatNav is required then click the button. 9. The price is right - Now that you've chosen everything, check the total price. • Does it sound about right? Is it much more than you intended spending? • Perhaps you've heard stories about this particular car rental agency? • If so rip it up and start again as Edwyn Collins once said. 10. Get the paperwork - So now you are happy, you've got the car you wanted at the price you wanted. All you need to do is print off the appropriate vouchers and look forward to driving the vehicle knowing that you have got the best car hire deal going. Malcolm lives in Glasgow with his wife Lynn and 3 grown up children. With a background in Information Technology and sales and marketing, he has incorporated these professional skills into all his online ventures.